Blip.fm is internet radio made social. It's easy to search for, play, and discover free music recommended by real people. Join today to create your own free station and start listening to @SOULWONDERS. SOULWONDERS WILSON PICKETT - MUSTANG SALLY. GET THE SOUL!!! SOULWONDERS AL GREEN - TIRED OF BEING ALONE. GET THE SOUL!!! SOULWONDERS JAMES AND BOBBY PURIFY - I'M YOUR PUPPET. GET THE SOUL!!! SOULWONDERS DIONNE WARWICK - WALK ON BY. @zoja01 - GET THE SOUL ZOJA01 !!! SOULWONDERS ARETHA FRANKLIN - RESPECT. GET THE SOUL!!! SOULWONDERS JOHNNY LYTLE - THE LOOP. GET THE SOUL!!! SOULWONDERS RUFUS THOMAS - WALKING THE DOG. GET THE SOUL!!! SOULWONDERS CARLA THOMAS - B-A-B-Y. GET THE SOUL!!! SOULWONDERS NICK CHARLES - THE RIGHT GIRL. GET THE SOUL!!! SOULWONDERS BEN E KING - SPANISH HARLEM. GET THE SOUL!!! SOULWONDERS PAT HERVEY - TEARS OF MISERY. GET THE SOUL!!! SOULWONDERS SMOKEY ROBINSON & THE MIRACLES - SHOP AROUND. GET THE SOUL!!! SOULWONDERS DON COVAY - SEESAW. GET THE SOUL!!! SOULWONDERS THE MARVELETTES - PLEASE MR POSTMAN. GET THE SOUL!!! SOULWONDERS RAY CHARLES - I GOT A WOMAN. GET THE SOUL!!! SOULWONDERS GALE GARNETT - I'll CRY ALONE. GET THE SOUL!!! SOULWONDERS SOLOMON BURKE - EVERYBODY NEEDS SOMEBODY TO LOVE. @TheTAZZone - GET THE SOUL THETAZZONE!!! 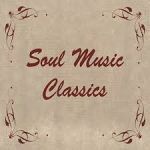 SOULWONDERS DEE CLARK - BRING BACK MY HEART. @redangel - VERY WELCOME TODAY AND ENJOY THE SOULHITS!!! SOULWONDERS TEDDY PENDERGRASS - TURN OFF THE LIGHTS. GET THE SOUL !!! SOULWONDERS ODYSSEY - GOING BACK TO MY ROOTS. GET THE SOUL !! !